Hiroki Kikuta (real name: Yuuki Kikuta) is an influential composer and game producer that initially worked for Square. Born on August 29, 1962 in Aichi, Kikuta’s first artistic experiences came through his father, an expert in ceramics. While he struggled with clay and flames, his creative spirit awakened while observing sophisticated works of art at museums and expeditions; his heart particularly raced when he saw innovative architecture at the World Expo in Osaka. Also enjoying a range of pop music while growing up, he composed his first song for acoustic guitar and vocals at the age of 12. Realizing he lacked the talent to become a vocalist, he decided to embrace composing through synthesizers instead — awakened by the revelation that the Electric Light Orchestra were able to create inspiring music using a MOOG Synthesizer. Inspired by artists such as Yes, Devo, and Prince, he aimed to produce music that was striking and abstract, yet also melodically appealing and imbued with a sense of pop. While composing was one of his biggest passions, he also enjoyed playing Namco’s arcade games, watching popular anime, and reading manga, among academic pursuits. From 1981, Kikuta studied for a three-year degree in Religious Studies, Philosophy, and Cultural Anthropology at the University of Kansai in Osaka. He found such studies revealing, given they emphasised the fundamental relationship between feeling, thinking, and doing. At an amateur club, he also created anime films and proudly presented them at several science-fiction conventions. After graduating, he pursued reliable employment as an illustrator for manga productions. Working under the pseudonym Yuuki Ni Juu Roku, he penned Raven in a burst of creativity practically overnight, before channelling influences from diverse science-fiction novels on The Ghost in Machine Head 2. Through the industry connections he made as a manga illustrator, he was subsequently hired as a composer for several televised animation series in 1990, including The Great Adventures of Robin Hood and The Legend of Princess Snow White. Fascinated by the connection between music and visuals — thanks in part due to the impression left by Tron’s electronic soundscapes and Godzilla’s symphonic masterpieces — he worked carefully to produce complete and complementary scores. For the latter, he penned over 100 tracks and worked with a symphony orchestra for the first time. Realizing his income still wasn’t enough to live on, Kikuta decided to pursue becoming an in-house composer for the developing games industry instead. While he was rejected from his first choice Falcom, he was accepted at Square in 1991 despite heavy competition; despite not playing console games previously, he impressed his interviewer Nobuo Uematsu with his diverse demo tape and passion for progressive rock music. He soon gained his first taste for RPGs while debugging Final Fantasy IV; the role was hardly a creatively challenging one, but he realized there was plenty of potential in composing for technologically limited consoles while listening to its score. 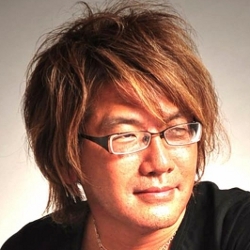 Afterwards, he was asked to help Kenji Ito by creating the sound effects for Romancing SaGa. Given practically no direction on what was required, the artist created 16-bit sounds spontaneously and those that were regarded as interesting were used in the final game. At that time, Square’s Tokyo branch was a small company of 50 employees and felt more like a hobbyist collective than a major corporation. Kikuta enjoyed working in such a close-knit creative community and, while known as an eccentric, was liked and respected by his fellow employees. Kikuta was soon asked to compose his first game score, Super Nintendo RPG Secret of Mana (aka Seiken Densetsu 2), after Ito had become too busy to score it. Developing a deep passion for Koichi Ishii’s vision for the game after watching the opening animation, he created a special score to match the game’s colourful and spiritual world. During the 18 month production period, Kikuta spent almost all his time in the office to perfect the soundtrack and went home only twice a month. He devoted many hours to rewriting and polishing each track until he felt satisfied with the end result. Unlike his colleagues at Square, he rejected conventional forms and tonalities throughout the work, to create a unique soundtrack filled with rich melodies, unique rhythms, and hybridised timbres. Furthermore, he was responsible for many technical roles, such as sampling the timbre of waves for the SNES PCM sound chip, adjusting the pan, volume, and effect of each of the 8 sound channels, and manually compressing the size of the sound data. Treating the Super Nintendo in the same way he would a demanding instrument, he carefully adapted his composition and editing approach to reflect the unique qualities of the technology. At the request of record producer Kensuke Matsushita, Kikuta adapted the music from the game for a special arranged album, Secret of Mana +. Comparing creating the album to “sprinting in the middle of the darkness of night, holding a secret in hand”, he felt tremendous pressure — having to record the album from nothing in two weeks — yet was relieved to be liberated from the limitations of creating in-game music. Influenced by pioneers such as Mike Oldfield and Pink Floyd, the album took listeners on a dramatic journey over a single 50 minute track. 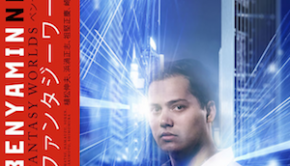 The final album incorporated a wide variety of elements — spanning a new age rendition of the opening theme “Where Angels Fear to Tread”, bass-heavy rock renditions of action themes, and an assortment of organic and inorganic sound effects — but served as cohesive whole thanks to Kikuta’s inspired transitions and rounded development. Making use of whatever came into his mind, he created the album without him ever having to second guess his instincts. He was also honoured that his music was commemorated at the historic Orchestral Game Concert series. After the international success of Secret of Mana, Kikuta reunited with designers Koichi Ishii and Hiromichi Tanaka to score the Japan-only sequel Seiken Densetsu 3. The composer took a more expansive approach on the title and created almost twice as many pieces over the prolonged development time. He continued to face grave limitations nevertheless, now forced to work on a six channel PCM sound chip; however, the majority of the technical responsibilities were this time distributed to a team of sound designers and programmers that joined Square as they moved to larger headquarters. His primary focus was inspiring the imaginations of those that played the game with his expressive musical approaches. Once again, he felt inspired by direct cues such as the game’s artwork, but also channelled his wider inspirations on the work; in particular, he reminisced on his travel experiences in Fiji and Hawaii to portray colourful and vast landscapes. He noted that “through a single musical phrase, it’s actually possible to influence of a kind of world in the imagination of the listener”. Through this natural composing approach, his music was as influential to defining the game as the visuals were. Kikuta closed his time as an employee by scoring the music for the post-apocalyptic action RPG Soukaigi, developed by Yuke’s and published by Square. Facilitated by the game’s exuberant budget and the PlayStation’s improved sound card, the artist was able to stream instrumental and vocal performances throughout the score. However, he rejected a traditional approach by fusing symphonic performances with progressive rock, trip-hop, and ethnic influences. Among the score’s centrepieces were “Quake”, featuring ethereal Buddhist-inspired chants punctuated by contemporary rock riffs, and “Lovely Strains”, a harmonically ambiguous orchestration supplemented with alluring whispering vocals. Kikuta held recording sessions with carefully selected musicians — spanning famous violinist Hiroyuki Koike to T-Square bassist Tomohito Aoki — and manipulated some performances using computers. The final score inspired the imagination and emotions of gamers much than the visual’s crude polygons ever did. Yet while the soundtrack was Kikuta’s magnum opus, the game itself was a failure due to its awkward gameplay. Disappointed by this outcome, and feeling that Square’s approach to scenario writing had become stagnant and juvenile, he decided he wanted more control on the production side. After Square refused, he left the company in 1998. To pursue his ambitions to revolutionise the gaming industry, Kikuta established the game development studio Sacnoth with funding from investor SNK. He soon started work on the horror RPG Koudelka, where he worked in a multitude of roles as the concept designer, game planner, scenario writer, and producer. Setting the game in the Nemeton Monastery during 1898, he focused on creating a mature scenario complemented by a distinctive visual approach. He was inspired by variety of sources — including the murder mystery novel The Name of Rose, photographs from Bob Carlos Clark and Jan Saudek, and his own visits to Wales — when designing the visuals. He also composed a minimalist score to enhance the atmosphere, incorporating sacred choral performances and intricate cinematic underscore. Yet despite his clear vision, he felt the quality of the final product was compromised when responsibilities were divided among the other developers. His employees protested against his innovative scheme for the battle system, instead developing a system in the spirit of Square’s RPGs, and there were micromanagement problems and internal quarrels throughout. The final product received average reviews and sold too few copies to return an already crippled SNK’s investment. Devastated by this outcome, Kikuta decided to resign CEO from Sacnoth. He felt he could no longer work with many of his collaborators — who he described as being “already dead” because of their inability to accept change — and no longer felt in a comfortable financial situation there. His former development team nevertheless went on to enjoy some success developing the Shadow Hearts series based on Koudelka’s storyline. He bounced back from the failure of Koudelka by establishing his personal studio Nostrilia in 2001. Realizing the potential of connecting people with online games, he subsequently presented a concept for the MMORPG Cho-Bukyo Taisen to Enix. After securing funding, he worked as a planner on the title for three years. He introduced a number of innovations on the title, including an elaborate scenario and player-versus-player battles, and also created a suitable score to match the visuals. After a well-received closed beta testing period in Taiwan during 2004, the game’s release was abandoned due to the merger of Enix and Square. This ironic twist meant neither Kikuta’s concept nor score were ever released to the world. It was the third time that a product he had worked on had been compromised in ways largely beyond his control. Having disappeared from the public spotlight in 1999, Kikuta made a surprising return by composing a series of visual novels in 2004. Through a connection he made while writing game scenarios for the consumer market, he was asked to score Ciel’s visual novel Sora no Iro, Mizu no Iro. The role was a shock for many of Kikuta’s fans, especially due to the negative image of the eroge genre, and was perceived as a step down by most. 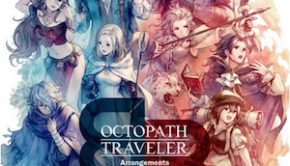 However, the switch suited the composer given he was able to create music without restrictions while working with a friendly group of developers once again. While creating the music, he aimed to convey something sensual — the sweltering heat of summer days and the coldness of water — with soft organic instrumentals and an upbeat vocal theme. Following this success, he was asked to score Sakura Relaxation and Nidzuma wa Sailor Fuku on behalf of Puzzlebox. For the former, he describes wanted to portray something psychological — a warm family and a secret hidden from daily life — with simple adventurous compositions reminiscent of his Mana work. For the latter, he portrayed something lyrical — a precarious life and the strong affection that supports it — while constantly overstepping the boundaries of typical eroge music. In 2006, Kikuta established an independent label, Nostrilia Records, to distribute a series of original albums. The first of these was Lost Files, which featured the demo compositions he submitted while applying to Square 15 years earlier. He was surprised to rediscover these compositions on intact DAT tapes and floppy discs while doing some spring cleaning. The artist found it interesting that, despite his ever-changing surroundings and circumstances, his fundamental approach to creating music and his sense of self have remained consistent. Most notably, he always conveys something from his own feelings or experiences, rather than taking derivative approaches. In addition, he always tries to offer a positive view of the world to contrast with the despair he observes and experiences on a daily basis. While creating the project, he also conceived a series of three romantic mystery novels that have instead been realised as a series of short musical releases. “Tennin-Byou Kitan” was featured in Lost Files, “Tennin-So Kitan” was released as a single, and the third volume “Tengen-Byou Kitan” has been delayed due to time limitations. At the end of 2006, Kikuta also released the ocean-inspired orchestral composition “Kaijinki” at the semi-annual Comic Market festival. In 2007, Kikuta was involved in the production of two MMORPGs. He received a request to work on the Chinese MMORPG Concerto Gate while helping a friend out in the management department of developer Ponsbic. He curiously reunited with Kenji Ito on the title, but did not channel inspiration from his collaborator’s work. Instead he focused on developing his own simulated orchestral sound — spanning calming setting themes to darker action tracks — while reflecting his visual and emotional inspirations throughout. Kikuta released his contribution to the title on the album Concerto, bookended with two new tracks. The artist also worked on the remarkably different score for a title by Shoeisha, at the request of a producer who enjoyed Secret of Mana while growing up. Creating the music with Mana fans in mind, he created a series of light-hearted synthetic tracks in a range of flavours. In another stroke of bad luck, the title was cancelled following management reorganisation at the company; not wanting for his work to go to waste, the composer assembled the pieces into an album entitled Alphabet Planet, complete with a delicious cover. In the subsequent two years, Kikuta received the opportunity to work on two new visual novels. On Moe-Nikki, Kikuta reunited with Puzzlebox to produce a scenic score that portrayed a 1970s school and abandoned music room. During the production, he produced many retakes of instrumental and vocal themes at the request of the director. The artist subsequently engaged in a new collaboration with Symphony Soft on Tiara. In this role, he created cute sparkling themes underlain with the grace of classical music and his characteristic tuned percussion writing. During 2008, he assembled the scores for his first three visual novel scores into soundtracks releases — In The Sky On The Water, Love Relaxation, and Nice Life As Wife — and is carefully planning albums featuring his music from Moe-Nikki and Tiara. He also established the label Metaphasic Child to release further singles at Comic Market events. Through this label, he has experimented with big beat music on “The Girl From Mars”, demonstrated his appreciation for vocaloids on “AT”, produced a rain-inspired remix of “Tennin-Sou Kitan”, and collaborated with PUMP on “Kaikou”. Two of his latest releases, “Healing Breathing” and “Naven”, have featured extended tracks inspired by scenes of tropical beaches and rainforests. In September 2009, Kikuta set up the GE-ON-DAN with Yuji Takenouchi to facilitate more networking between game sound creators. He regularly attended events and participated in productions with the group as its supervisor. Through these associations, he contributed the collaborative arranged albums for DoDonPachi Dai-Ou-Jou, DeathSmiles, Darius Burst, and Castlevania; in each case, he carefully interpreted the nature of the originals to determine the optimal arrangement approach, while still reflecting his personality. Furthermore, he funded production of the group’s three original albums and personally wrote some Mana-inspired original tracks. In July 2010, Kikuta was invited to join Emininence’s international composer group, Creative Intelligence Arts, after Hiroaki Yura recognised his unique approaches to harmonisation. Through this group, he reached out to the new generation with a rocking anime-inspired theme song for Otakon 2010, “Shackles of the Night”, before celebrating the Touhou phenomenon on Sophisticated Insanity — blending remixes with original pieces sung by Western, Eastern, and digital idols. 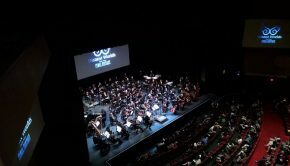 Continuing to reminiscence on his past productions, he was also delighted to attend spellbinding performances of his music from Secret of Mana at Symphonic Fantasies. In 2010, Kikuta made his long-awaited return to composing console RPGs with the soundtrack for Sega’s Shining Hearts. He was offered to work on this title through a connection he made with manga artist Tony Taka on eroge titles. Bring to life the game’s diverse locations with organic and worldly approaches, he also pumped the title’s battle themes with electric guitars and jazzy piano to uplifting effect. The score was coated with a sentimental and girly sound, to match the scenario, yet plenty of compositions were reminiscent of his past work. The score was bound together by a magical main theme and an emotional theme song. In smaller roles, the artist created the music for Cave’s Waku Waku Mugendai Mini 4WD World — including a theme song performed by Hironobu Kageyama — and selected fifteen licensed tracks to accompany the DSiWare’s Aquarium with Clock. 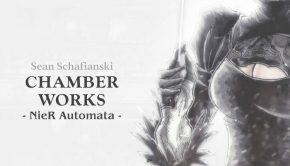 Also responsible for the soundtrack of Mebius Online — an MMORPG in beta testing since 2011 — he offered numerous melodic orchestral pieces to captured the adventurous tone of the game and inspired memories of classic game music. Kikuta discussed and previewed many of these works with a series of talk events in Akihabara throughout 2010. Through his affiliation with Creative Intelligence Arts, Kikuta recently scored a significant portion of 2012’s SoulCalibur V — his highest-profile work in years. Though the title represented Kikuta’s debut on a fighting game, having had two decades experience actually playing them, he felt confident on the approach to take. Focusing on the stage themes, his contributions ranged from Baroque for Pyrrha, to Middle Eastern for Viola, to Sengoku Japan for Yoshimitsu. The same year, Kikuta reprised his role on 2012’s Shining Blade — offering a diverse instrumental palette and an action-packed focus — before resynthing favourites from his debut score on Secret of Mana Genesis for Square Enix’s record labels. In smaller roles, he penned guest contributions to the Touhou albums Scarlet Bloodbath and Sanctified Vengeance, and wrote theme songs for Ciel’s Fault! !A and Fault!!S. He also squeezed time to write new singles through his personal label, recently releasing Botsukyoku Densetsu 2 and a concerto for marimba and celesta. Among his other dreams are to write a new novel and to produce a musical on stage. Kikuta’s fans can be assured he will offer new score and album productions in the future.